I bought another seasoning package from the supermarket recently, and it is starting to hit me how much cheaper it is to cook Chinese food at home using these and still have them taste good. The seasoning package this time was 98 yen, and it called for 300g of pork, a whole chingensai, a pack of atsuage plus other things. 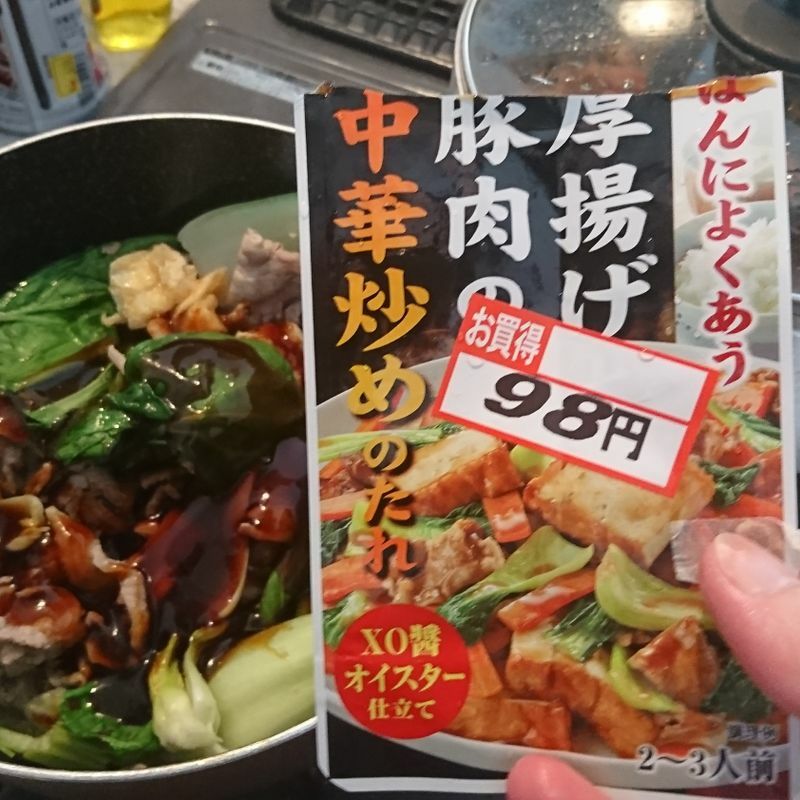 The ingredients would be cost around 450yen, but it came out as 2 meals and took me only 10-15 minutes to fry them up. Comparing the 550 yen to a plate of something similar at a Chuuka restaurant selling it for 700 yen, it is not bad to make it at home at all. The taste is weaker but for a good reason. There is less salt and seasoning with this package than the ones I am eating outside. 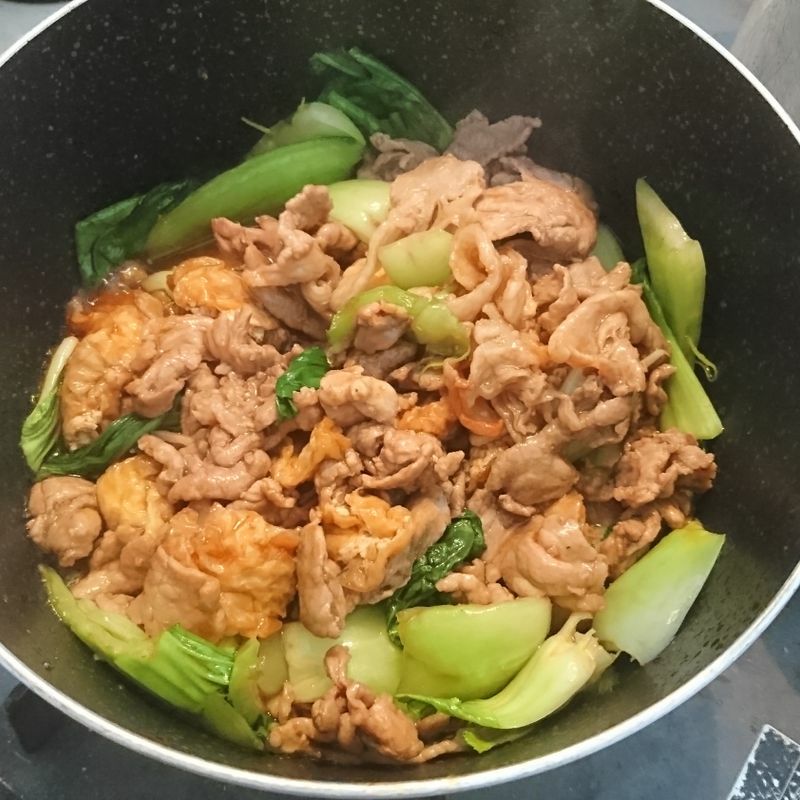 Again, if it takes me an hour to cook it, I would prefer to eat out, but given how cheap and easy it is to cook at home, I might have these more often.